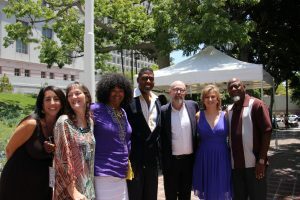 It was a perfectly magnificent day in downtown Los Angeles, where the MMLA-Make Music Los Angeles held its second annual, Fete De La Musique, also known as, June 21, day of the Summer Solstice. www.makemusicla.org. 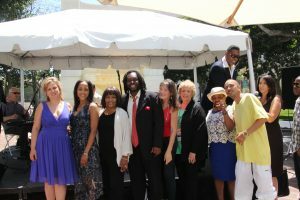 MMLA President, Leroy Downs, along with founder, Dorsay Dujon, were both on hand, and on stage to welcome an enthusiastic crowd. Performances raged, countywide at over 52 venues. The Chambers, Herbert and Ellis Group, made-up of vocalist Lisa Herbert, daughter of Mort Herbert (bassist for Louis Armstrong and The All Stars in the 50â€™s) Mitch Ellis (son of Herb Ellis guitarist with the Oscar Petersen Trio and established solo artist and Pierre Chambers, son of Paul Chambers bassist for Miles Davis; were one of three acts to perform at City Hallâ€™s south lawn. Lisa Herbert has lived in the Culver City area for more than fifteen years and follows in the footsteps of her father, who believed in baking up some talent in his own back yard. 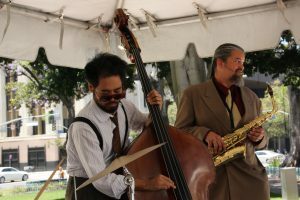 The backup musicians, included well-known local players, Ralph Eames, piano, Ralph Penland, drums, Rich Faugno on bass and award-winning saxophonist, composer, and bandleader Reinhold Schwarzwald. 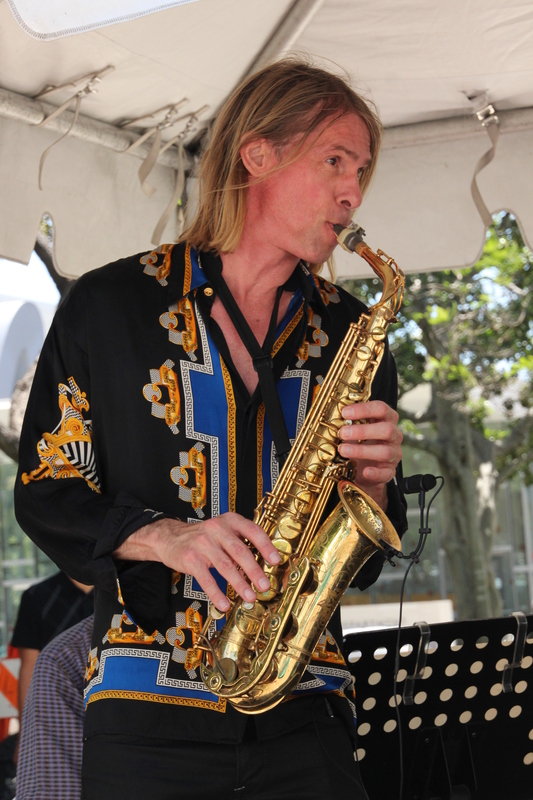 Reinhold has worked internationally with top names in the music industry including Hugh Masakela, Ndugu Chancler, Kirk Whalum, and Jean Shy, with appearances at the Montreux Jazz Festival, Euro music Vienna, and Olympia Paris. 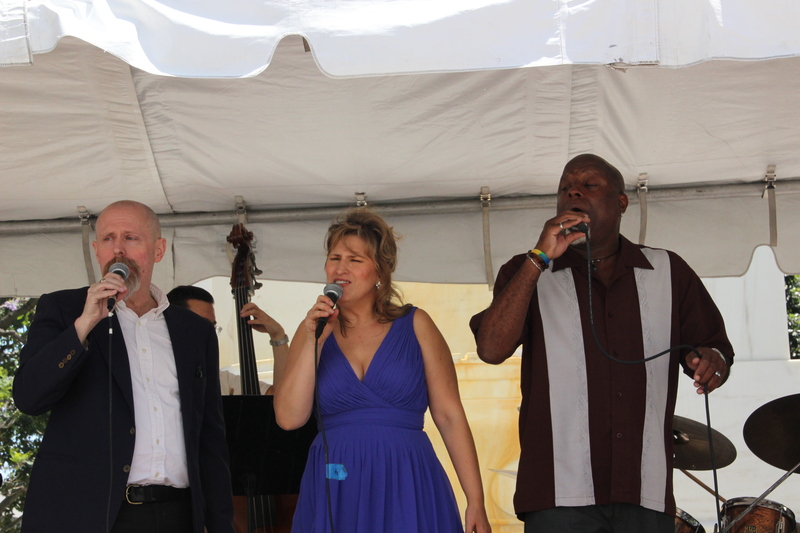 The group dazzled the crowd with jazzy renditions, of classic standards and a little something extra to keep the crowd pumped up. Also on the bill were, Geoff â€œDouble Gâ€ Gallegos brought the crowd to a pulsing grind, as they piped out, a re-invented hip- hop sound.Â Gallegos worked a 70-piece daKAH Hip-Hop Orchestra, while Double G gives some hard-core attention to combining electronic rhythms and classical music to create this new sound. DaKAH arranges for such contemporary artist, like, India Arie, John Frusciante and Everlast.Â Free Association put some, down home southern funk, rock, and blues to the spot as they scurried up a homegrown style of original music. Steve Janbahan, of the Los Feliz area, is always busy working with global favorites, Verdine White of Earth, Wind and Fire, Ronnie Laws, Jazmin, Guru, and at present in study with Ron Anthony. The Culver City Hotel had its own brand of a special evening with Noel Ramos, Executive Director of IMC Independent Music conference and publisher of www.intermix.com bringing out Rasta, Reggae, Queen, Ladee Dred, and other local musicians. 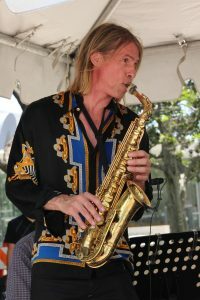 The concept of Fete De La Musique was adopted in 1982 by the French ministry after American musician John Foley expressed an interest in using music to celebrate the culmination of the summer equinox. The response was so great that, now over 700 countries and 132 cities have embraced the musical explosion, which is, celebrated annually, worldwide. MMLA was founded by, Dorsay Dujon and longtime friend, Iris Gordy. With a broad background of working with music productions, Dorsay had always wanted to present an event such as this one, to the Los Angeles area. President, Aaron Friedman of New York MMNY, was the first to have a State host the musical celebration. 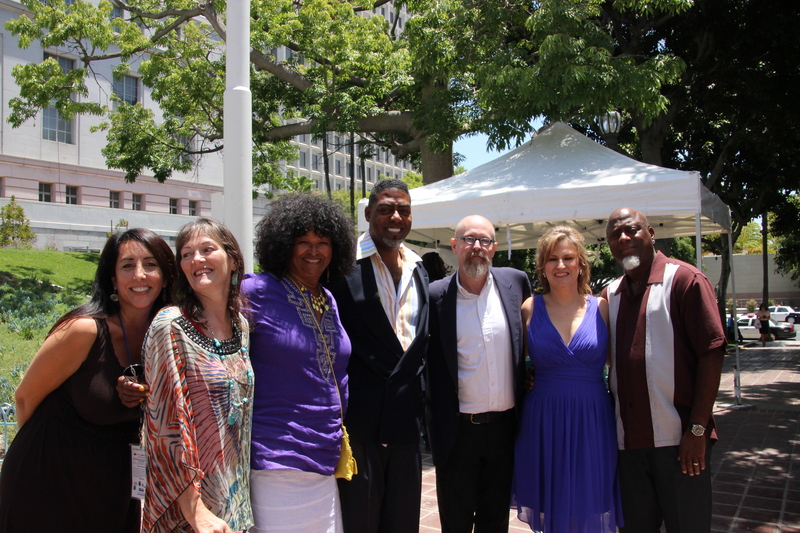 Friedman encouraged both Dujon and Gordy, that the concept could be spread with the support of community organizers. Musicians are asked to perform, at no cost and all concerts are free to the public. It is the reason why there is a need to play in open-air areas like streets and parks or in public buildings like museums and train stations. Furthermore, FÃªte de la Musique is a way to encourage the major music institutions (orchestra, operas, choirs, etc.) to perform outside their usual locations. This kind of institutions can also welcome other types of music. In this way, it offers an opportunity to develop exchanges between city centers and their outlying areas, to offer concerts in hospitals or in prisons, to promote encounters and exchanges between young musicians and well-known talents. Make Music Los Angeles is supported by Mayor Antonio Villaraigosa, The Mayorâ€™s Office of Strategic Partnerships , Deputy Mayor, Aileen Adams, Deputy Director, Rebecca Verdolino, Cristina Rivera,Â Los Angeles Department of Cultural Affairs, Executive Director, Olga Garay-English, Los Angeles City Council President, Herb Wesson and Mayor Elect, Eric Garcetti.